This is a great time of the year to hike these trails as they can get quite hot in the summer months. The highest point on the loop trail was just 1300 feet above the trailhead, but there were quite a few ups and downs bringing the total climb to 3040 feet. These mountains may look small in Google Earth but they cover a surprising amount of land as you will discover once you hike around them. The loop we went on starts with the Wild Burro trail that leads from the trailhead up the wash and past the resort. 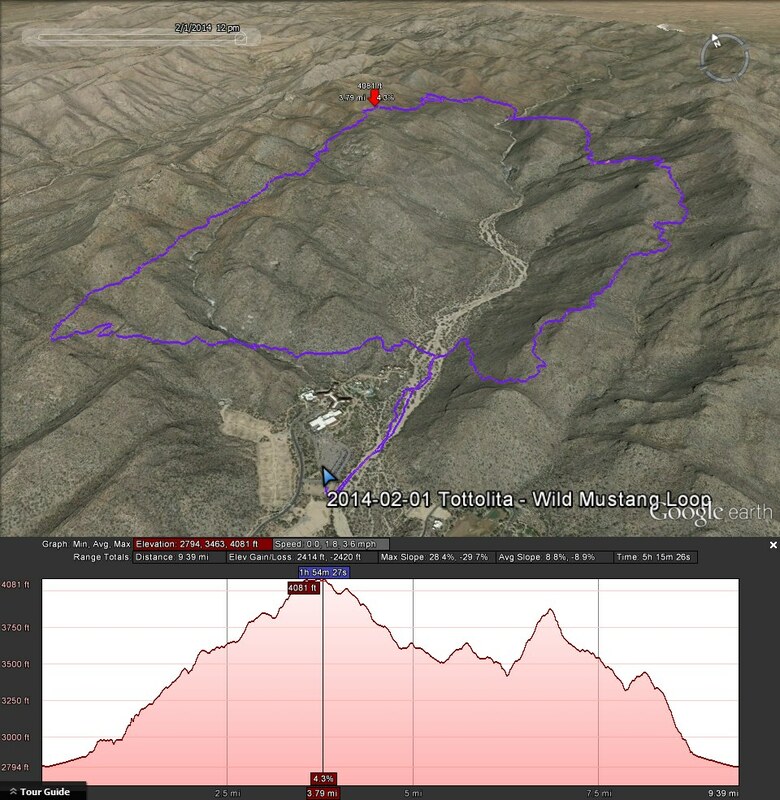 Then you swing to the left up the hill on the Upper Javelina trail which takes you to the Wild Mustang trail. You stay on that for quite a ways until the trail comes back down to the central wash and joins up again with the Wild Burro trail. 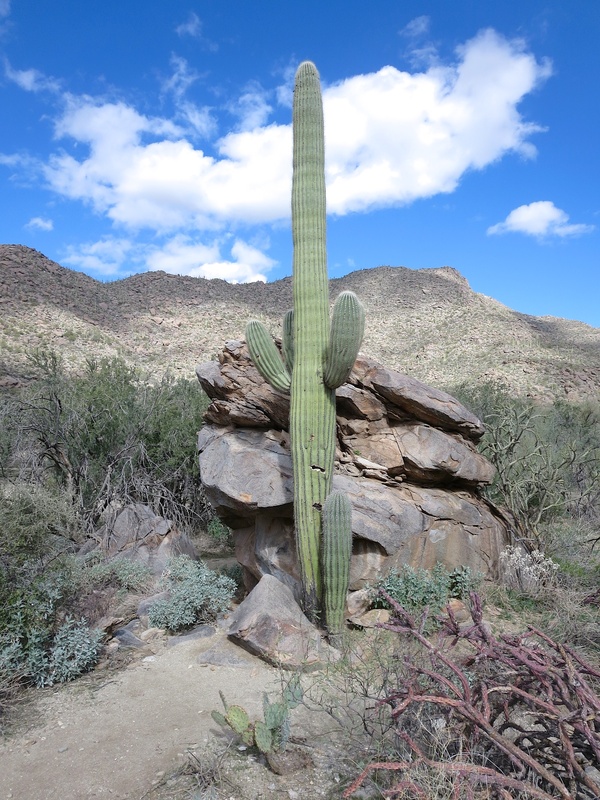 But this is a short section that simply connects you to the Alamo Springs trail that heads back in the direction of the resort and returns once again to the central wash and Wild Burro trail and then back to the trailhead. 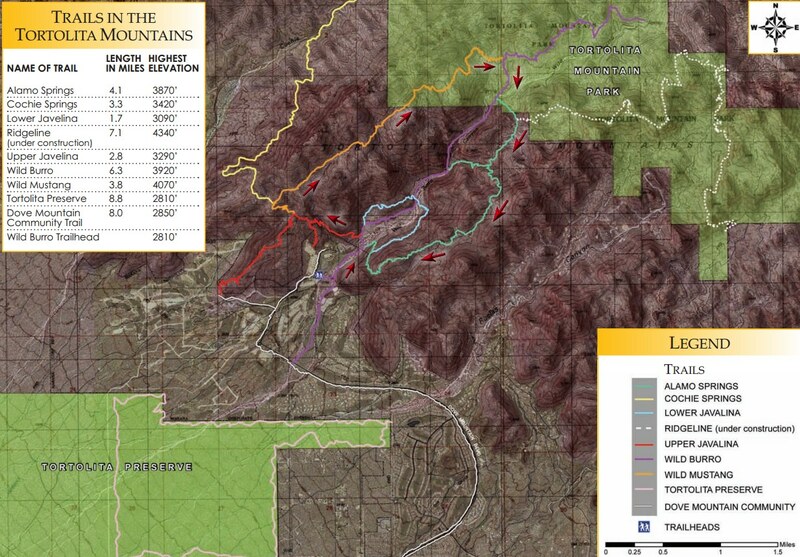 Here’s a map of the trails in the Tortalita mountains with the loop Charles and I hiked outlined. I found the map here, and more maps can be found here.